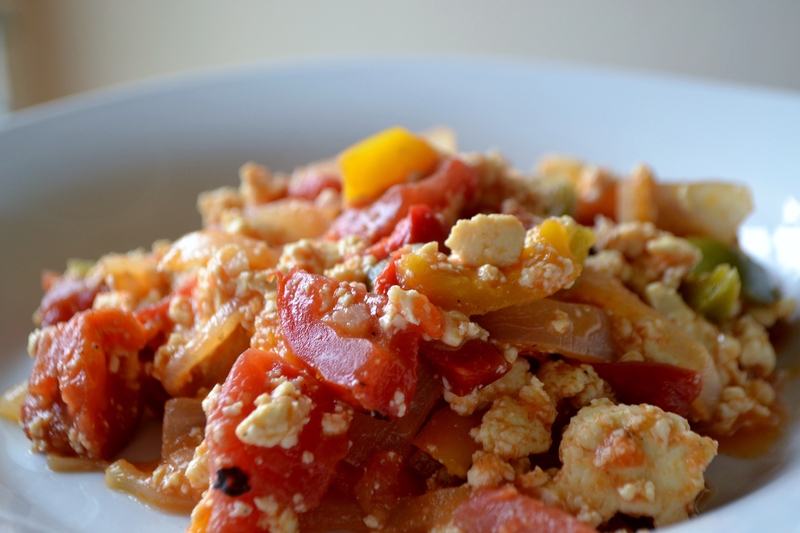 This recipe turns scrambled eggs into a vegan-friendly, spice-filled dish. Skip the eggs and make it with tofu instead. 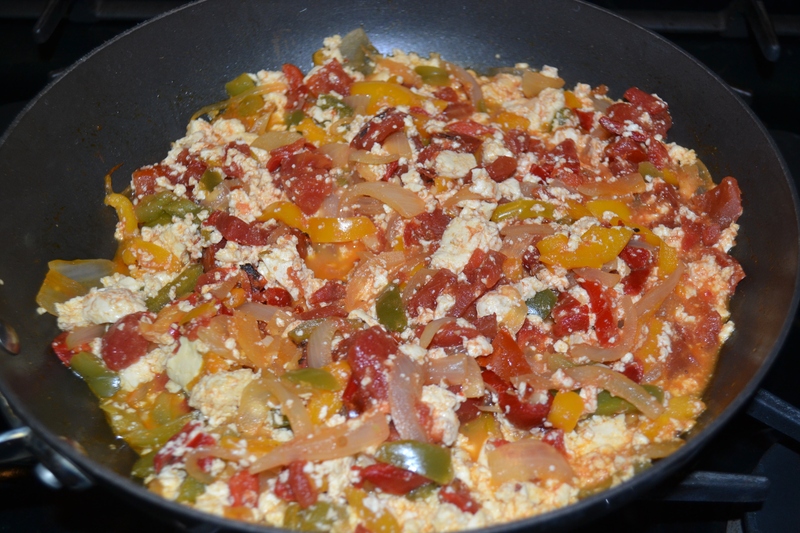 Add peppers, onions and tomatoes to really kick it up a notch. So filling, so tasty, so incredible. Patting myself on the back now. Heat oil on medium heat in a large sauté pan. 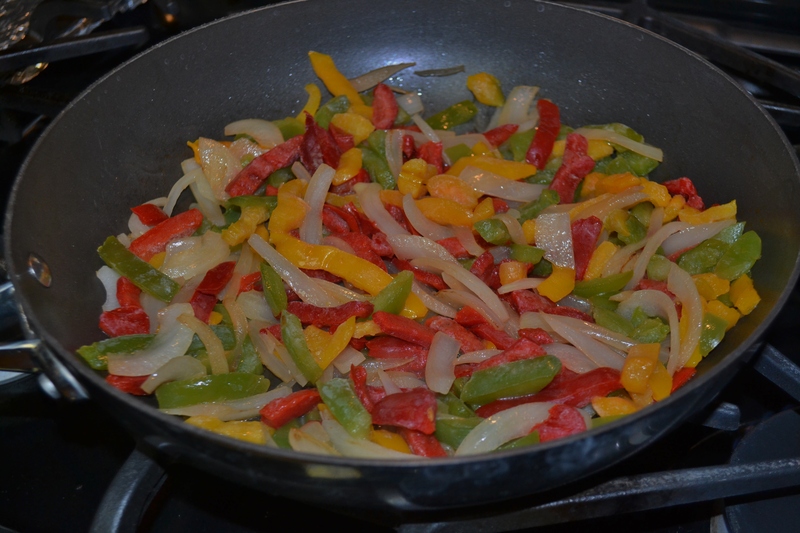 Sauté onions and peppers until soft. Add garlic and continue cooking until fragrant. Crumble tofu and toss into pan. Add chipotle peppers, salt, pepper and cumin. Mix gently. 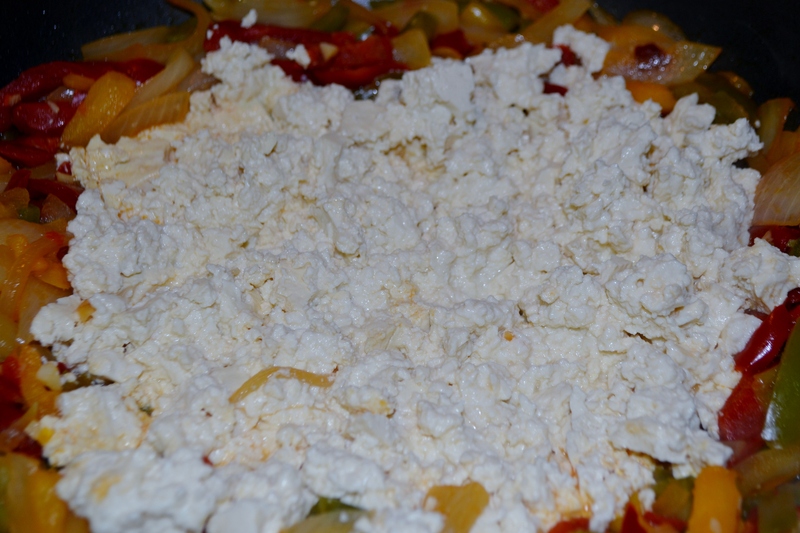 Drain tomatoes and incorporate into pan. Cook until heated through. Serve with tortillas, chips or just dig in! This looks incredible! I’m a big fan of tofu scramble but this really take it to the next level, yum! Thanks! Hope you try it soon.